Definitely would cut Flame Slash for either Burst Lightning or Forked Bolt . Slash is dead in too many modern matchups, imo. 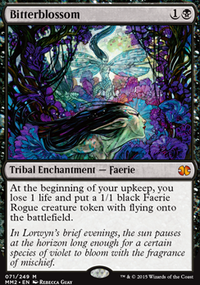 etron is pretty even, and depends on their hand.. all i can sideboard right now against it is Shard Volley and Smash to Smithereens in and Eidolon of the Great Revel and Forked Bolt out. hard to say what is that best thing to do about this matchup.. Chalice of the Void stops Shard Volley unless i get Smash to Smithereens .. no doubt Molten Rain would help. 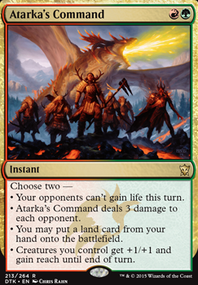 maybe i can take Shard Volley out of the sideboard. 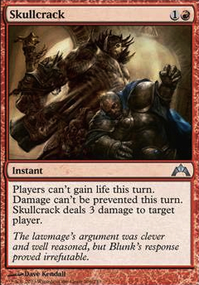 it is there for matches where i have more cards i want to take out of the mainboard, and nothing else to put in. 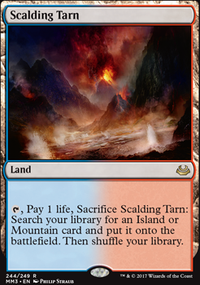 My first thought is remove 4x Mountain add 4x Ramunap Ruins this could let you eek out that last little bit of damage you need. 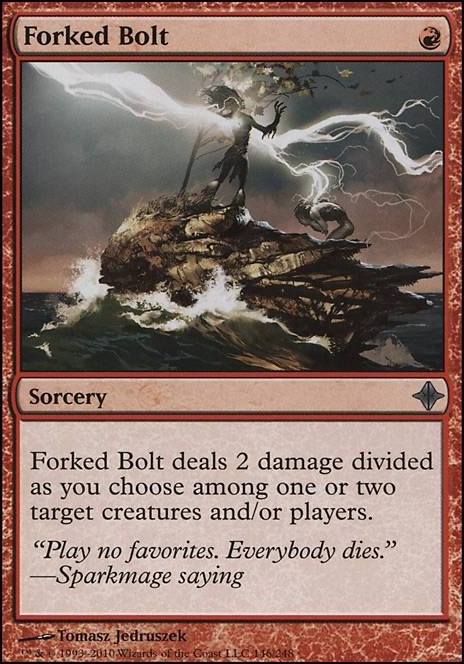 My second thought is I'm not sure Shock belongs here Forked Bolt , Searing Blaze or Skewer the Critics may be better options. 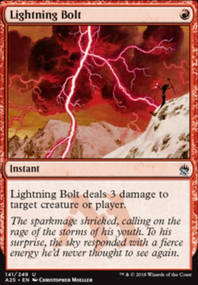 As would upping your count of Rift Bolt to four. 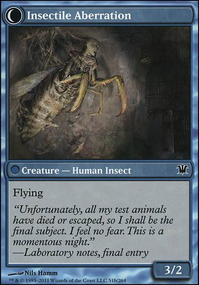 Even Vexing Devil is a better option than Shock which for Modern just seems underpowered... Hope this helps, good luck brewing your deck. I think it's fine to keep the remaining two Lava Spike s.
Does Forked Bolt hit a single target once with 2 dmg or does it hit twice with 1 dmg?